Business Consulting Fort Collins: Why Is Business Valuation Important? You Are Here:Home / Business Consulting Fort Collins / Why Is Business Valuation Important? Do you know everything there is to know about your business? As a hard-working, successful entrepreneur, you’d like to think that you do. However, there’s a good chance that some things are not necessarily over your head, but most likely out of your head in terms of running — and more specifically, valuing — your business. But fret not; small business owners in Fort Collins, Denver, Broomfield, and beyond have a trusted business consulting partner in O’Dell & Company. Here, our certified public accountants do more than your average CPA firm; we handle a wide range of business consulting services, including the all-important task known as business valuation. But what is business valuation, and why is it important? In this blog, we’ll be taking a deeper look at business valuation and how O’Dell & Company can help you benefit from our Fort Collins business consulting services. Keep reading to learn more and contact O’Dell & Company today to get started. 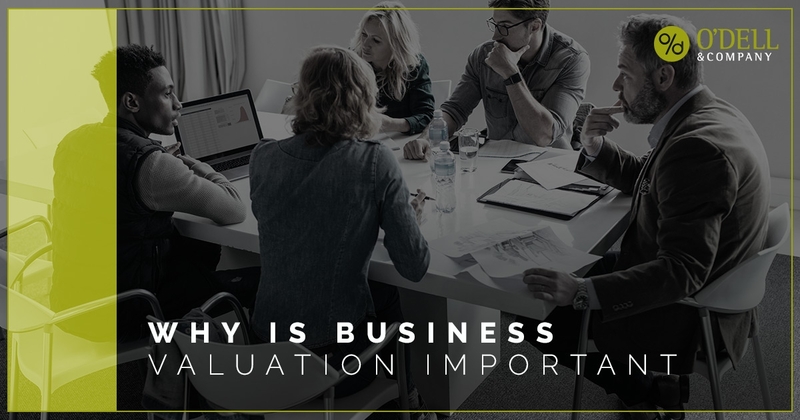 A business valuation is a venture which looks at the health of your business, the arrangement of your assets, future growth potential, and a number of other factors in order to determine a numerical value for what your business is worth. This valuation comes in handy for estate planning purposes, tax purposes, acquisitions, and a whole lot more. When Is Business Valuation Important? Knowing the true value of a business helps to set a fair price for a business acquisition or merger. A licensed CPA firm can help determine the value of a business you are looking to purchase. Let’s say you’re looking to sell your business. In that case, a business valuation will ensure that you’re getting exactly what your company is worth. We look at assets, growth, and more to determine a fair value. It’s only right that partners, investors, and shareholders understand everything about a business before getting involved. Our business valuation services can show new partners where their investment is going and, more importantly, how the business will generate growth. The precise value of the business is also necessary when it comes to planning ahead for the unexpected. In the event of a death, the IRS will need to know the value of the business for estate and gift tax purposes. Our business consulting team can help evaluate your business for these purposes. What is your succession plan when it comes to your business? Whether they want to admit it or not, every business owner should have a retirement plan put in place. In those cases, a business valuation will be required in the event of the owner’s retirement or a transfer of ownership. A CPA firm can help you create a viable, reasonable succession plan. Annual fiscal checkups with a trusted local CPA can also help you manage the budget and forecast for your business. From asset evaluation to strategic business planning, our business consulting team can handle it. No matter what your Fort Collins business needs, our CPA firm can help. Contact O’Dell & Company today.